Some friends have told me that they've seen all my Oslo-related statuses on Facebook, but not quite grasped what it is that I am doing, and why. Here's a little explanation. Hope it will clarify. First of all, I haven't really gone for anything full-on in quite this way for a very, very long time. I've worked with and committed myself to things that I care about for as long as I can remember, but this one has taken it to a whole new level! Breivik's terrorist acts were an attack against everything I believe in. The massacre took so many innocent lives and was an attack aimed at the heart of the democratic institutions and foundations. Shock, fear, anxiety, sadness, anger and restlessness were some of the feelings that flowed through me right after I read about the attacks on the Internet, on July 22nd. "If we are to honor the too many killed after our country's major disaster, and if we are to celebrate the decency that we as a people have shown during this evil week, we must be willing to go into the most difficult questions: What could we have done differently? And what do we do now?" This became my "moment of obligation" - the moment when I knew I had to act. Why I felt so strongly then and still do today is largely because I spent two of my best year ever at the Red Cross Nordic United World College in Norway (north of Bergen). I got friends there for life, from all over the world. We lived so close to each other during the most defining two years of our lives. We kind of lived and breathed (and sometimes sighed over) the quote by Nobel Peace Prize winner Lester B. Pearson: "how can we have peace if we do not understand each other, and how can we do that if we do not get to know each other?" These words are also key to the UWC movement. In that environment, I formed my worldview and the sense of social justice that I have carried with me throughout my life ever since. I've talked to many friends, organizations and groups throughout the Nordic countries who are involved in the struggles to strengthen all the values ​​that the terrorist attacks wanted to destroy. It is encouraging to see all the commitment and good initiatives. At the same time, I believe at bottom of my heart, that we now, perhaps more than ever, MUST push the limits of our imagination of what we think is possible to do to combat racism, hatred, extremism in its various forms and tackle the root causes that create inequality, exclusion, alienation and contempt in our societies. My answer to how and where we start is certainly shaped by my own unquenchable faith in dialogue and people's power to create change when we meet, discuss, exchange experiences and act together. In too many cases I have attended summits and "dialogues" in which experts address an audience, and then it ends. But what happened to seizing the power, commitment and energy of a large group of people's collective knowledge, experience and efforts? 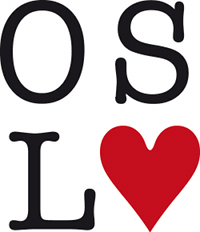 The response that evolved quickly was "TO OSLO, WITH LOVE" where we want to gather up to a hundred people from the Nordic countries in Oslo for three days, on November 4-6th, 2011. We will put an extreme focus on intimate dialogue, based on people's passion and with a view to creating clear paths to concrete action. Through an in-depth Open Space process, we create an open and equal dialogue. We exchange ideas between countries, sectors and backgrounds and allow time for setting up action plans together. We pose the questions to each other and we come up with the answers together. We come together - TO OSLO, WITH LOVE. There are many organizations and actors who have joined together in this. Many have spread the word and individuals have contributed generously from their own pockets for the realization of the dialogue. The support inspires me every day. I'm also learning a lot every day - about the power of conviction, the importance of a (very) personal commitment, the importance of support from loved ones, the power of opening up to others' involvement, to share their passion, the powerful impact of going all in pouring heart and soul into an idea, and importantly, that it is not always (actually, very seldomly) the most prominent official representatives that are the most valuable change agents in a process. For those of you who have read this far - thanks for your time and your commitment! If you want to help us out in a much needed way in the run-up to the 4th of November, please help us by asking five friends, colleagues or family members to make a small contribution to the project to help cover our costs, and enabling a couple of groups of young people who can't cover their expenses to be able to come to Oslo. The link is here: http://www.fundedbyme.com/projects/2011/09/to-oslo-with-love/. Feel free to email me directly also at tooslowithlove@gmail.com if you have thoughts or ideas that you want to share. TO OSLO, WITH LOVE - one month to go!